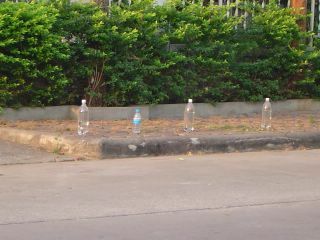 Bottles to scare away the dogs. 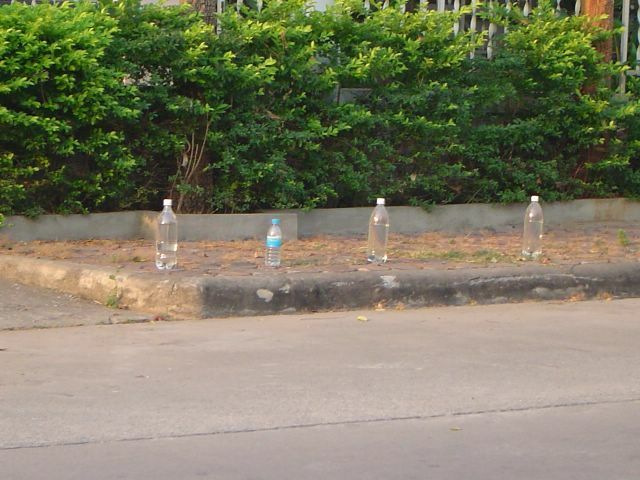 In the page link above, I blogged about Thai people putting out bottles to scare away dogs to keep them from urinating on their curbs. Here is a pic of some of the bottles.